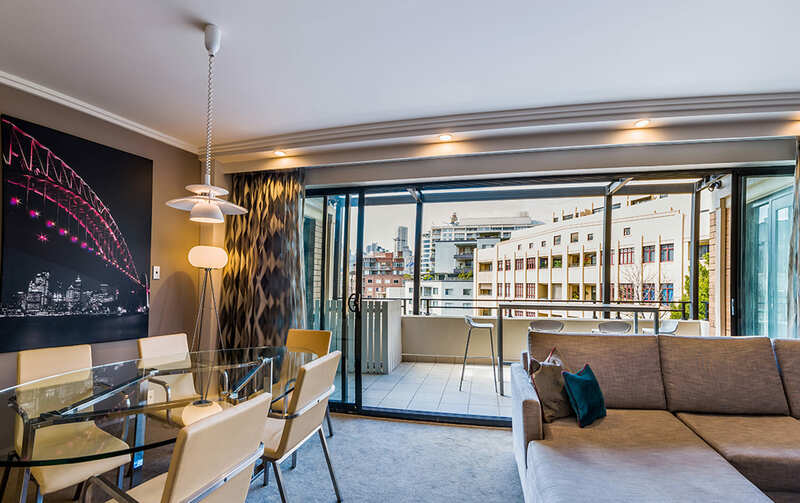 Your spacious Club Apartments are located within walking distance of Darling Harbour – the dining and entertainment hub of Sydney. 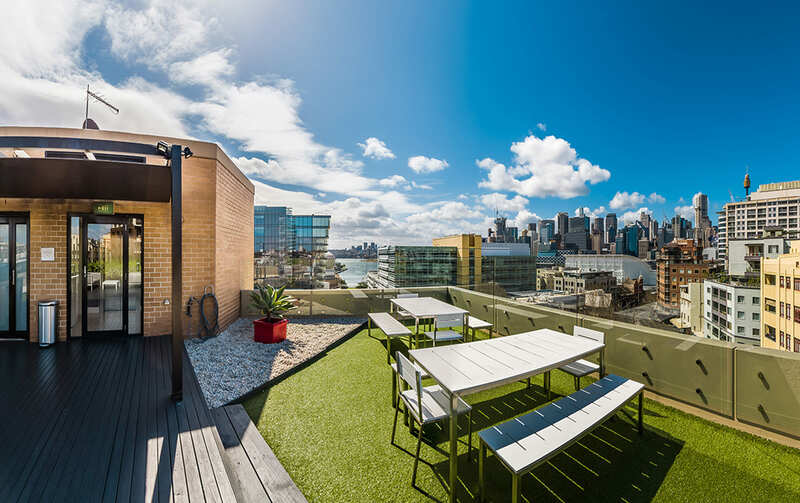 Buzzing with atmosphere and boasting an undeniably sophisticated lifestyle, Sydney is a destination full of character and distinction. 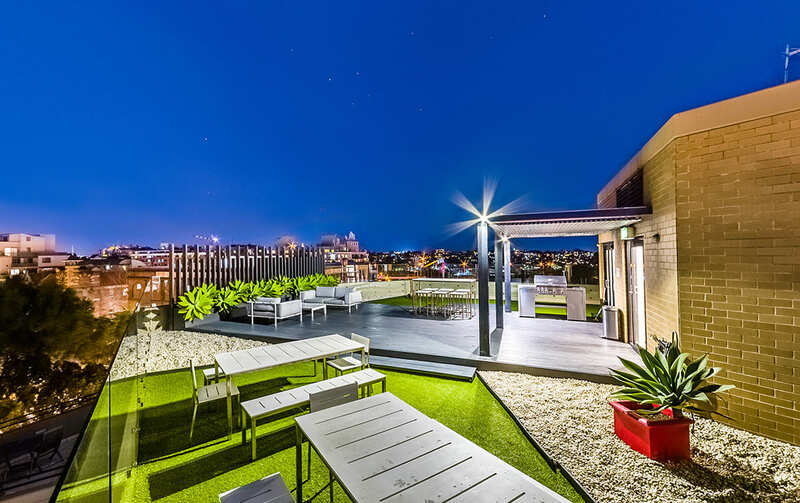 A lazy dinner overlooking the spectacular city lights from Pinnacle’s rooftop barbecue area will complete your Sydney experience. Luggage Lockers: are available on Basement Level 3 (B3 in the lift). Each locker requires a $2 coin, which you take back when you remove your bags. Parking: Accor Vacation Club Members receive complimentary car parking – one car space per apartment only. Second car will be charged at $20.00 per day (cars can come and go during stay at no extra charge). Please note car spaces are small. Maximum height restriction for car park is 2.1m. You cannot get a senior travel card at a retailer as used to be the case before the introduction of Opal. Cards are not transferable and everyone needs their own card. Card holders still pay maximum $2.50 per day although an additional station access fee applies when travelling to or from Sydney Airport Domestic or International stations. Gold Senior/Pensioner Opal cards for interstate seniors are valid for 60 days from the date of issue and card applications should be made no more than two weeks before travel as applications are processed immediately. 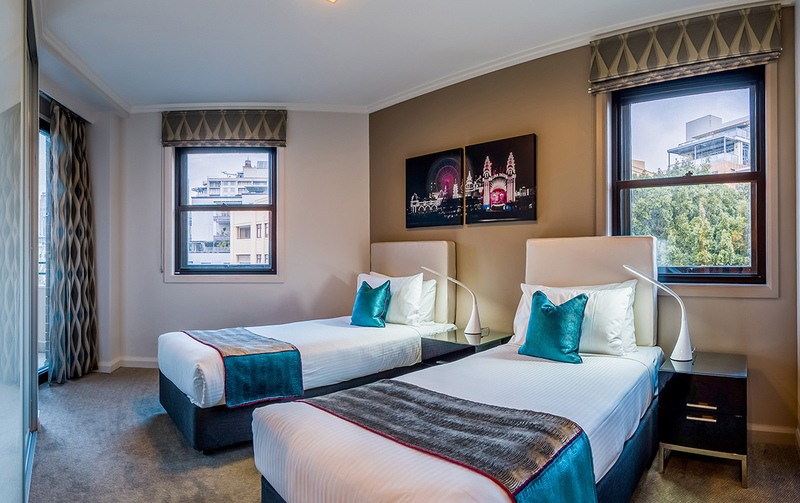 Pinnacle Apartments are approximately 13km or a 30 minute drive from Sydney Airport. 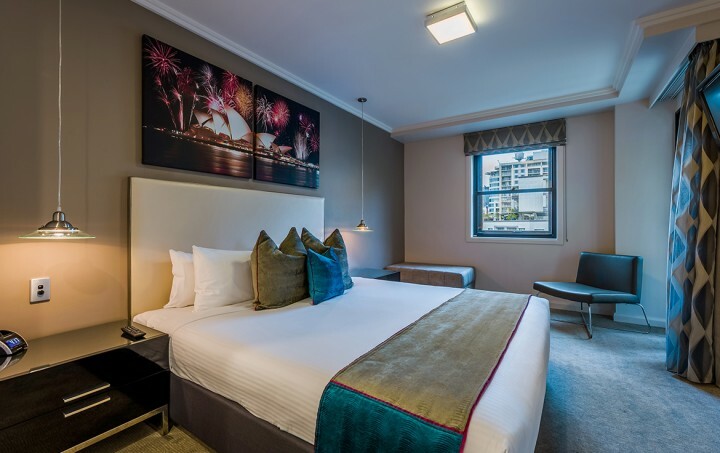 Shopping, dining and the nightlife of both Darling Harbour and Sydney CBD are walking distance from Pinnacle Apartments (Darling Harbour – 5 minutes, Sydney City – 20 minutes). (1 king, 2 singles and 1 sofa-bed, sofa-beds are suitable for children only) – 2nd bedroom with 2x king single beds and can be form to 1x king with cover goes over 2 beds – must be requested. 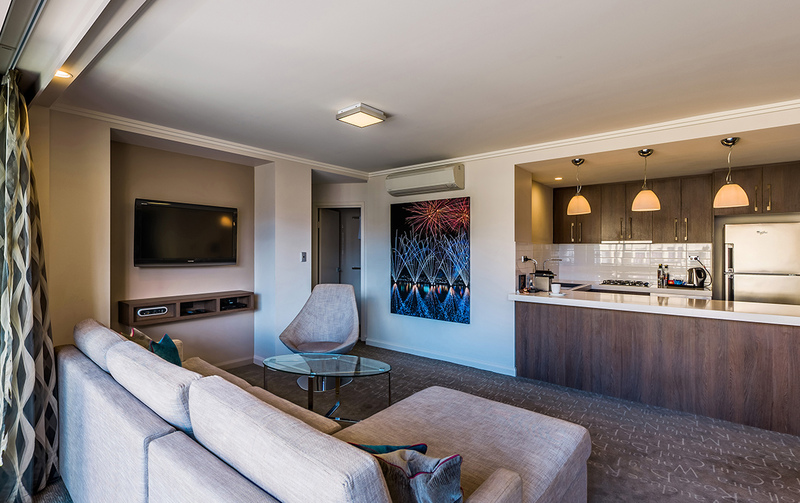 Full kitchen and laundry, ensuite off master bedroom (separate shower and bath), 2nd bathroom (shower only), DVD player, air-conditioned, Foxtel, free local calls from telephone, cots available on request (charges apply), no highchairs available.